So, I think I am getting my stride back. Without losing a second, here are my first few paragraphs from the first scene I’m writing tonight. Seeing their counterpart joining each other and singing, the dragons did the same. Screeching, squealing, nearly screaming would more define the sound of the dragons but their riders were delighted. They pretended to conduct the trio into harmonics most humans would never tolerate. But the girls were thrilled. They too started singing in the most dissonant way. They could feel the vibrations between the bubbles ripping. They could hear each other better and better. Soon they could run to each other and swing their bodies onto the backs of their dragon friends, and they soared skyward wishing to never see this beach ever again. Looking down onto the people on the beach they realized they couldn’t leave. They still needed to help humans save their elfish spacemen. They figured if they took the creatures to Haven, they could actually bring the elves back to life. So each dragon picked up the dead and blinked to Haven. The second they landed on Haven they realized their mistake. Haven still wasn’t in charge, and the cousins’ mothers were still as dead. Sorry to leave you on such a sad note. There is a promise that what we see isn’t so, but that needs to be worked out. 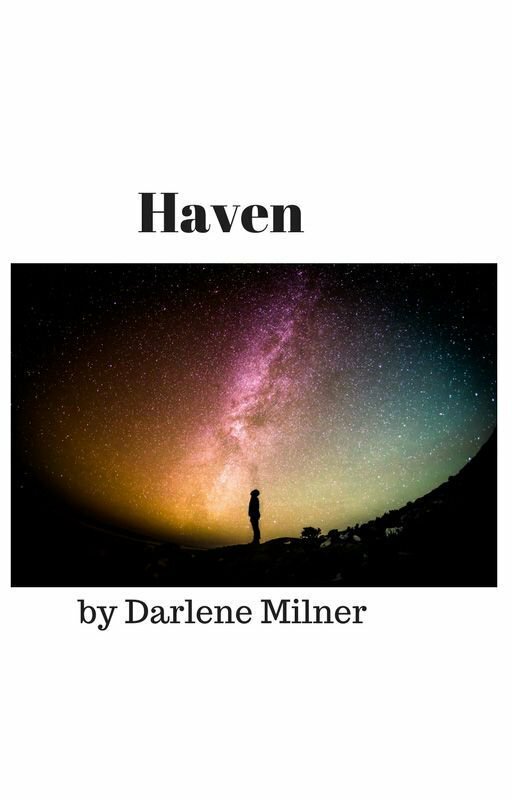 Haven in 3D is the title and is a sequel of Haven the first book I wrote in 2001 and can be found on Wattpad. I’m sorry if this is confusing. I know the story I’m telling, and even knowing the whole picture I am still working out the bits. Mostly I am trying to get out my 1,667 words a day to make it to 50K by the 30th of this month. I currently have 33,734. My goal is to hit today 36,652. CampNaNo is challenging to say the least! The last few days have been horrid health-wise. My allergies and fibro are fighting for me to be sleeping 24/7 instead of having a working brain and tapping fingers. I’ve even started drinking coffee at night, and yet I sleep and not write! Hopefully, you all had a good Holy Day/Easter. I have to admit that I’m glad I didn’t have eggs to boil and color or high energy kids jumping about. Been there, done that, t-shirt and all. Our neighbor’s chickens have been visiting lately so we have possible broods getting ready. I love his hens and the gorgeous rooster and our black and white speckled girls seem to like the company. Look how much I wrote here! Why am I not getting that many words over in yWriter? (I’m doing okay. Just complaining. Sorry) Well, I won’t if I don’t get over there and continue typing! See ya all tomorrow! When the author asked me to review this book I stated that I mostly read books by females with strong female leads. But I took a moment and realized that this was a male nurse. He knew where I was coming from, and he’d proven himself. So I figured his book deserved my read. It was good. If my feet and back could have handled it, I would have tried to be a doctor or a nurse. I was a candy striper with that aim. But not only couldn’t I handle it physically, when one of my patients died I found that to be too hard to take. Granted I was sixteen, not enough life experience to know people come and go from your life. But that little bit of experience made what I read in Oh, Nurse! ring even truer. As I usually say when reviewing a biography or autobiography, this is someone’s life. It is hard to play judge and jury when watching them walk in their own shoes. I wish I would be able to say this book encourages future nurses. But, with medical marriage with insurance, I don’t think it is going to get better any time soon. The greatest profession should still be nursing. They are the patient advocate, or at least they should be. They are invaluable to doctors, at least they should be. I have always loved shows like Greys Anatomy, ER, all those medical shows. They are there to give us all an eye into what is happening or can happen when personalities and money are involved in trying to take care of medical issues people present with. I hope that in spite of his honest story of his life as a nurse, others will choose to go into that career. I hope his story opens the eyes of those in charge of our medical needs to how to make things right for all. Raining. Nothing is more restful as the sound of rain on the roof. Anna stretched and cozied under the covers. It’s Saturday. Saturday’s are for sleeping in. An hour later She woke again with the thought that since they landed on Haven they hadn’t kept track of the days of the week or dates on a calendar. What made her sit up straighter, they hadn’t had rain, not like this. A sprinkling every now and then, but not mud making noisy rain. Judy stood and pulled open the curtains. “Sure enough!” she gestured toward the window. The grey sky and steady tapping on the window seemed to bring her under its power. She laid back down on her bed and stared out the window. She was nearly back to sleep when Beth woke excited. Judy loved cooking so she took on the request and headed for the kitchen. She pulled the chicken from the fridge and started the stove. She loved how everything appeared when she needed it, without the bother of going to a store, or even worse chopping the head off said chicken and de-feathering. Within minutes the savory smells had all three women at the table doing their share of prep to make a meal worth the drool. So I am behind due to the sinus issues so I need to get over and vomit another 2,000 words. Have a wonderful Saturday. By the way, we’ve had two naps already due to the rain. At least our desert sage is green instead of yellow like the rest of the year. And Pirates of the Caribbean have been on all day to be the background for naps or writing. Besides a thunderstorm quaking the skies and sinus and earaches, I’m tempted to quit being on the computer. So I thought I better post now and get quiet. Besides listening to the rain and thunder is so much more fun that wracking up words! I’m at 30,654 I need over a thousand, but the brain and storm are not in cahoots! So here is my first scene of today’s writing. Maybe all I’ll get done. I’ll have to go crazy tomorrow. There was a lot to do. They had landed on Xeno through the wormhole but they still needed to find Ora and friends. While no one was around they became their human selves. They wanted to fit in so they donned grey sweat suits rather than quaint lady-like dresses. None of them felt comfortable in dresses. Besides, they might have to run and dresses were never practical. Now suited up they meandered toward the wooded area. Dusty knew that that was the direction of the school. As they got near to the school they heard a ruckus. “I swear to you, I’m not qualified to deal with these kinds of children. They ask question after question, acting like little kings and queens! I quit!” A woman cried, stomping out of the nearby building. The women decide that it was a good time to sit on the ground and talk. This was an area of no cameras so they could talk freely. “So tell us what is happening there?” Maggie couldn’t wait to find out. Dusty smiled as it caught her on her funny bone, ‘So just no quality control here?’ That’s a far cry than how it used to be. Almost the complete opposite.’ Then she explained what they had learned through the wormhole experience and the ‘cranky grass’. She invited Enelrad to join them on their quest to find Ora. Maybe with everyone looking they will find the answers, and start minding their ps and qs! I should have made my review part of the A-to-Z Challenge. After all, the Payback series by Cidney Swanson would have worked, right? But I didn’t think of it until now. “Pray it isn’t serious,” Owl said, knowing in his being that wasn’t so. Robert knew it was serious. “Pray we can handle it properly. He had been called Haven’s own Leonardo Da Vinci. He was knowledgeable in a little of everything. He loved art and music but had degrees in science and technology. He was self-taught in psychiatry and philosophy. He was rarely without answers. Yet here he was a widower watching his planet of birth and his planet of choice in problems that no one could perceive. Here was a job someone had to do, but there were few who could do it. Everyone seemed either caught in the green beam or dead. Years of living on Haven taught him not to take the obvious solution. Or even believe what is in front of your eyes. But many more years of Earth living before Haven made jumping to conclusions still the more probable hop. I hope that made any kind of sense. If not, I guess you have to wait until the book is finished, like me! This book is a sequel in the Haven series. Its title is Haven in 3D. Haven, the first book can be found here. I voluntarily reviewed an Advance Reader Copy of this book. Gladly. I have loved every book Cidney Swanson has written. I always admit that my favorites were the Saving Mars series. But the time travels, and Ripplers and now the Paybacks have been a delight to read, also. Cidney has characters that are believable, relatable, even when they seem to be well to do, and going to a rich-kid boarding school. BUT this brain got confused in this book. So a warning: Clair is the main character of the first book and Fiona is of this second book. What kept confusing me (or unconfusing) were that I remembered that Clair’s parents were dead and her brother had helped in significant ways. Fiona’s aunt keeps referring to her parents helping with tuition and her brother being dead. I am horrid at remembering names But relatively good at recognizing certain aspects of a story. I had to go to the book blurbs to understand where I was getting confused. If you read book one, you remember poor Fiona going with the horrid Sly. That should lead you down the trail of the story Ms. Swanson has present us. After I understood who the star was, I think I love her more than Clair. Yeah, she gets a little gah-gah about a guy, but in the long run, I was rooting for them as much as for Fiona’s future. Since the Payback series is separate from Ms. Swanson’s other books, you can pick them up and enjoy them now without reading everything else. That said, I hope you read the rest, eventually, as they are all fun adventures. I wish I had someone writing these kinds of books when I was a teen. This was the first line of the first scene I wrote today. The prompt from Linda G. Hill for One-Liner Wednesday seemed to be the moon. (I never saw the prompt.) Today’s A2Z letter, I think, is O. Sometimes less is more, but I like to mix it up, all the prompts at once. It makes a harder challenge, but I think it makes my writing more interesting. 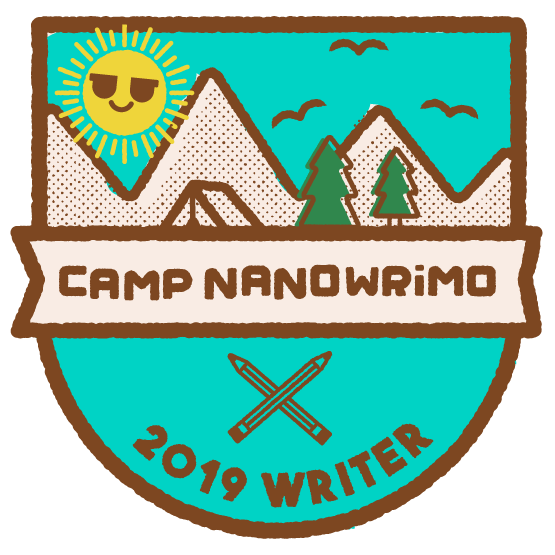 All this writing is for CampNaNo where I’m attempting to write 50,000 words by April 30th. My current word count is 26,710. The project I’m working on is Haven in 3D a sequel of my first book, Haven. Click on any of the blue underlined words if you want to know more about any of these subject. National Novel Writing Month, November. The hardest month a person can live through. Yet it seems my favorite thing to do. Novel writing. Nattering on and on in an imaginary world or universe. Imaginary friends who tell me stories. Nothing better. As any toddler could tell you! It is so fun for me that I do it even when it isn’t NaNo or CampNaNo time. I’m addicted. If you get the chance, Read Chris Baty’s book No Plot, No Problem. I’m going to skip posting a bit of a scene as they all seem confusing for those who might pop in out of nowhere. There is so much going on with wormholes and dimensions that cause grouchy grass. See? Even with that much, I’m sure you are shaking your head wondering where that comes from. Just know when I feel it will be a good stand-alone type scene I will share. 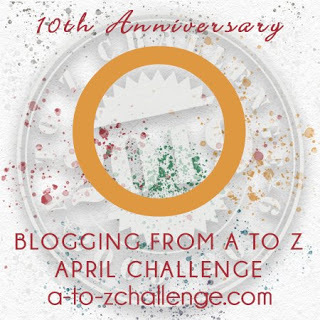 Before I gave up trying to keep behind on the A-Z Challenge I did set this up within my story. I doubt I’ll be able to use CampNaNo with A2Z. It is already two or more days behind me. By the way, my current word count is 23483. This is one of my favorite days of a NaNo project. Day 15. By the end of the day, I need 25K. Barring computer glitches which I don’t put past this stupid Acer, I will have it. Even with the Stupid Acer breaking, I can still get the words on my tablet, or Kindle. I could even write on paper. But then the stupid hand will break down. LOL! Though I love the feeling of writing cursive, there is no built-in spell-check, Grammarly, or word count. Or built-in pain reliever! Without further ado, here is my crossover A2Z/CampNaNO couple of paragraphs from my work in progress, Haven in 3D. Murdered? Henry saw the knife sticking out of each little chest. These small people were no bigger than the child he’d known in the bunker. What was her name? Lucy? Sarah? Henry sat on the floor. He asked: What can I do for them? Should I take out the knives, cover with dirt or mud, or myself? These people represent love. What can I do? I’m rather new to something like this. Let’s try the mud idea until I can come up with something else. They aren’t of Earth or Haven, but Haven was able to save Earthlings. I need to try, with your help. Henry, Robert, and Adam grabbed a bucket of water nearby and poured it into the dirt. Very quickly the dirt was saturated and the guys started covering the elves with the mud. Then for an added bonus, they lay down on the creatures just hoping that if it worked for them that it would work for the elves. But after five minutes they had to admit defeat. I think it didn’t work like it did for you because they are already dead. You had merely passed out. I’m so sorry humans. Earth told them. So, how many got to watch GoT last night? After binging a few days to refresh the last season, I was ready. In fact, after watching that episode where Dani’s dragon is killed, how many of you noticed how Jon’s pommel eye looked like it opened as Jon came out of the water? First time I ever saw that. I shouted at my husband and pointed it out. But research seems to point to it just being a shadow of Jon’s hand rather than another an Easter Egg or foretelling of more fantasy. Anyway, I loved the show last night. Can’t wait to see what happens this season. I’m so sorry to see it ended. It is so well-written, fun, and makes one think. All the things a good show should do. Thoughts? Have a blessed Passover Week. So far I’m loving it. What did you think?